Approximately 3 billion people, about half of the world’s population live within 200 kilometers of a coastline. In the Western Indian Ocean, this figure is 60 million people. These people depend directly and indirectly on coastal ecosystems for their income, livelihoods and other services. Climate change is widely acknowledged as a major threat to coral reefs and other marine ecosystems, as increased sea temperatures, change in weather patterns, sea level rise and other events can have profound impacts on marine ecosystems threatening the well-being of the people who depend on them. CORDIO has therefore placed special emphasis on contributing scientific knowledge of the impacts of climate change on coastal and ocean ecosystems, enabling a better understanding of their vulnerabilities and resilience, which can be used for more effective conservation at a local and regional scale. While a changing climate brings many challenges to coral reefs, one of the most serious and immediate threats is from mass coral bleaching associated with anomalously high sea temperatures. In 2016, a positive El Nino and Indian Ocean Dipole caused record-high sea temperatures during the summer, leading to coral bleaching throughout the Western Indian Ocean. 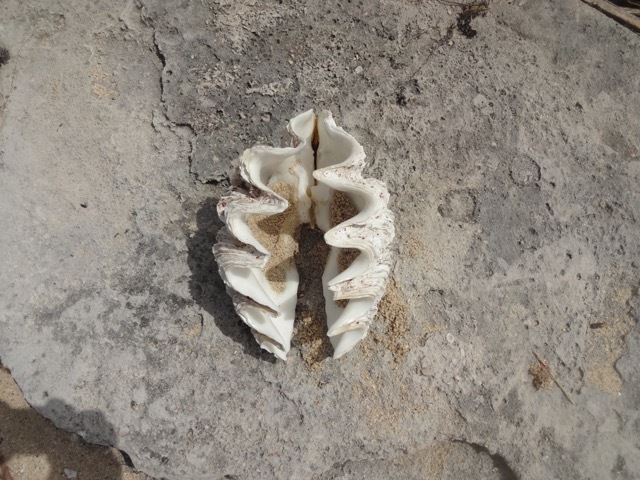 CORDIO has played a leading role in coordinating and participating in bleaching response efforts in the WIO, since our inception in 1999 in response to the 1998 coral bleaching event. With the 3rd global bleaching event underway since 2015, 2016 was expected to be a hot year globally, and preparations for organizations to monitor the onset of bleaching were well underway through CORDIO’s annual bleaching alerts, established since 2009, and with dedicated funding from the Indian Ocean Commission’s Biodiversity Project. At the start of 2016, Dr Obura presented a webinar on preparing for coral bleaching in the WIO hosted by the TNC Reef Resilience network. 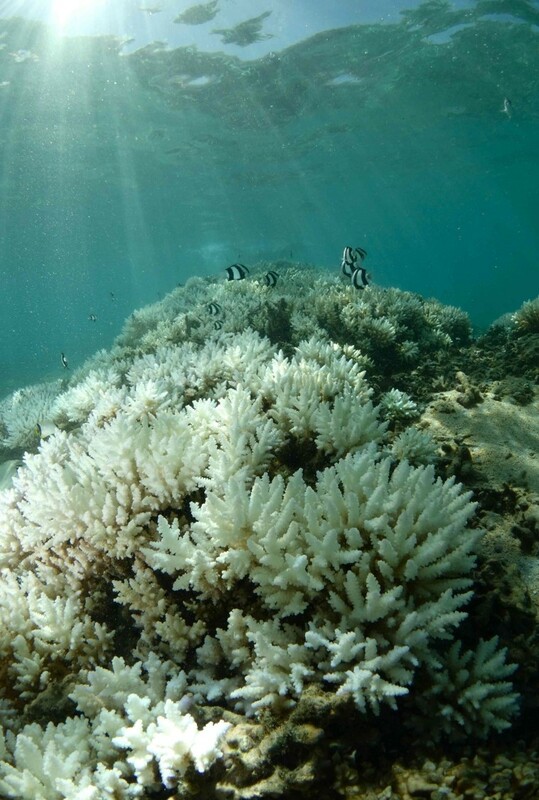 Additionally, through the bleaching season (Jan-May) CORDIO produced 8 coral bleaching alerts, which were sent out to partners across the region informing them about the latest climatic and bleaching developments. CORDIO also developed the WIO coral bleaching monitoring manual in collaboration with the Indian Ocean Commission (IOC). With the support of the IOC’s Biodiversity Project, CORDIO began an initiative to gather basic-level bleaching observations from partners across the region, in order to assess the impact of the bleaching event. 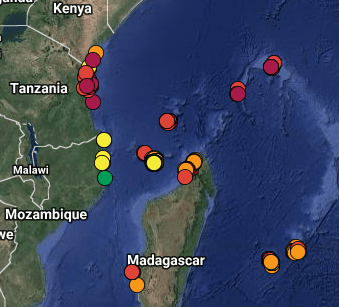 A total of 699 observations were collected, from 54 organisations and over 80 observers across 9 countries of the WIO. The data are presented on an online-map, analysed in the regional GCRMN coral status report, and contributed to NOAA Coral Reef Watch’s effort to collect global bleaching observations. CORDIO also participated in the regional bleaching assessment through surveys in Mayotte and Kenya. As the impacts of climate change become more apparent, extreme climatic events such as El Ninos are likely to occur more often, resulting in more frequent bleaching. CORDIO therefore aims to continue working on bleaching related activities to help the region prepare and respond more effectively to this threat. Ocean acidification (OA) refers to the ongoing decrease in ocean pH, caused by the increased uptake of carbon dioxide (CO2) from the atmosphere. OA compromises carbonate accretion making it difficult for valuable calcifying organisms to maintain shells and other calcium carbonate structures. This alteration affects a range of ecosystem services provided by the oceans. There has been minimal research on the impacts of OA on fishing communities and the fisheries on which they depend. 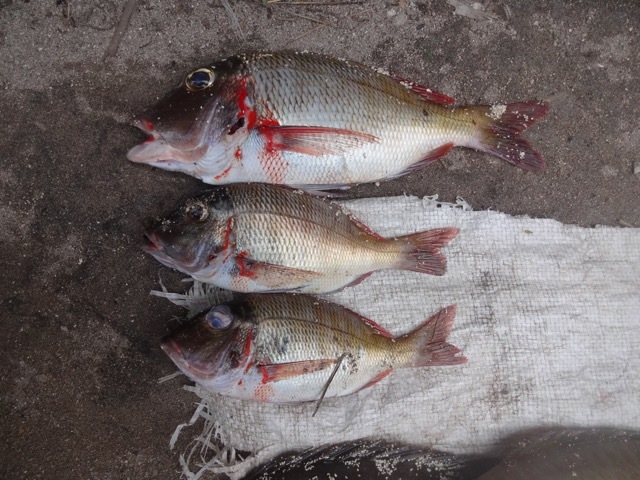 The International Atomic Energy Agency (IAEA) provided support in 2012 for a Coordinated Research Project (CRP) to address this knowledge gap by synthesising and analysing a wide range of socio-economic and biological/ecological variables on coastal fishing communities and their fisheries. 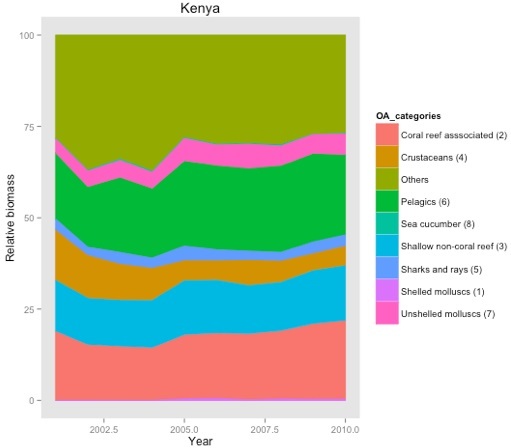 CORDIO’s role in the project was to analyse the social and economic impacts of OA in the Western Indian Ocean and contribute to vulnerability prediction modelling. The project was instrumental in deriving first estimates of the impacts of OA on coastal communities dependent on artisanal fisheries in the WIO and it also contributed parameters for modelling the impacts of OA in the region to a global database held by IAEA. Two draft papers were prepared during the process with one on “Potential vulnerability of artisanal fisheries to OA in the Western Indian Ocean” presented at the Global Conference on Climate Change Adaptation for Fisheries and Aquaculture in Bangkok in August 2016. While the CRP project ended in 2016, CORDIO will continue to work on OA related activities in 2017 including submitting 2 papers for publication in peer-reviewed journals, and participating in the international workshop on Bridging the Gap between Ocean Acidification Impacts and Economic Valuation in October 2017.